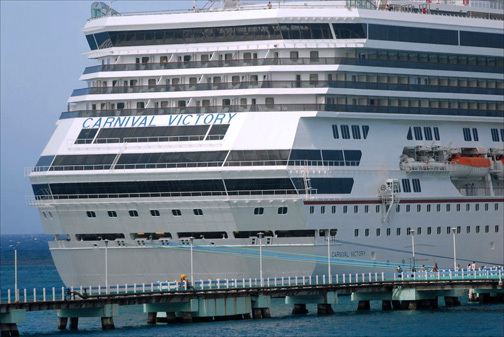 FCCA: Cuba cruise-ship surge could help, not hurt, P.R. Carnival, Royal Caribbean, Norwegian Cruise Line and Pearl Seas Cruises are all offering cruise-ship packages to Cuba — and giving ordinary Americans the chance to visit an island denied to them for half a century. But this sudden flurry of cruise traffic is not necessarily bad for Puerto Rico, said Michele Paige, president of the Florida Caribbean Cruise Association (FCCA). “There’s a lot of pent-up interest and demand for Cuba, and a lot of Caribbean destinations are concerned. But our message is that competition is good, and that demand for Cuba creates a demand for the entire Caribbean,” Paige told this media outlet by phone from FCCA headquarters in Hollywood, Fla.
“These destinations need to look at themselves and make sure they’re providing an experience to tourists that is the best it can be,” she said. Paige, who has never been to Cuba, said her organization doesn’t represent the Caribbean’s largest island yet — but that “just having the cruise industry announcing itineraries to Cuba” has helped boost interest in the region. She also disputes the notion that U.S. cruise passengers will crowd the streets of Havana by the thousands without contributing much to the Cuban economy. All told, cruise tourism contributed $3.16 billion of direct expenditures in FCCA’s 35 member destinations during the 2014-15 cruise year, and generated over 75,000 jobs paying nearly $1 billion in wages. Average expenditure per passenger was $103.83 in the 2014-15 cruise season, with average expenditure per crewmember at $67.10. The highest expenditure per passenger was $191.26 in St. Maarten, and the highest expenditure per crewmember was $149.44 in Puerto Rico. In fact, just five of the FCCA’s 35 destinations — the Bahamas, St. Maarten, Puerto Rico, the U.S. Virgin Islands and the Cayman Islands — account for more than 70 percent of total Caribbean cruise expenditures. Asked what island Cuba should emulate as it seeks to build itself up as a cruise destination, Paige didn’t hesitate. As a result, in the 2017-18 season, Puerto Rico expects to receive a record 1.6 million cruise-ship passengers, up from 1.5 million the year before — pumping $240 million into the local economy. In fact, the FCCA is so encouraged it recently signed a long-term contract to hold its 2018, 2019, 2020 and 2021 annual conference in San Juan. Cruse ship passengers in PR for few hours spend little on meals and nothing on lodging, so the growing number does not say success! PR must re-define itself as a long-term retirement destination with great advantages! It may take some major changes that will happen when the exit of its own to the mainland slims the size of government. But, all such government workers are dependent on their political bosses.It will take a federally driven force to eliminate the impediments to change. Hey Buddy!, I found this information for you: "FCCA: Cuba cruise-ship surge could help, not hurt, P.R.". Here is the website link: https://newsismybusiness.com/cruise-surge-could/. Thank you.